Breville understands that food defines culture and is a connecting force around the globe. 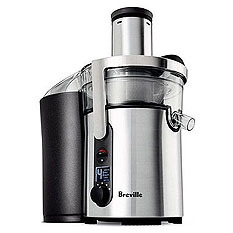 In this vein, trust the Food Thinkers at Breville to deliver blenders and juicers worthy of processing your food. Committed to providing quality consumer products and excellent customer service so you can shop with confidence, Koolatron offers a selection of affordable juicers and blenders to suit your needs. Vita-Mix off both power and versatility of a high-performance blenders with variable speed actions and hardended blade in pulverize ingredients. Experience new technique in making your favorite smoothies or dessert blends.